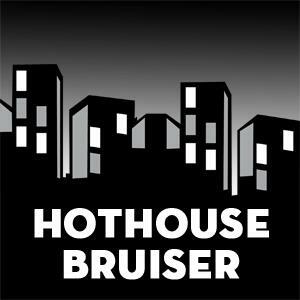 In episodes three and four of Hothouse Bruiser, we’re introduced to a sinister voice who will play games with Bruiser, all the while showing us the darkness that lies below the city and below the walls of the Box. We also get a chance to chat with Joel, who talks about life as a TV writer and how the desire to have complete creative freedom with a production led him to take a 60-minute TV script and turn it into the 4.5 hr audio serial. What an irresistible maze “Hothouse Bruiser” turned out to be. Do you have the guts to enter a world in the #fashion of “The Island”, George Orwell’s #1984 or David Bowie’s Labyrinth? #Westworld.